What started almost 100 years ago in Germany as an athletic show company has steadily grown over time into a cornerstone of the sport and fashion industries. Their continuous process of injecting innovation into their products started from the beginning and has continued through to today. Recently, Puma has broken into the eye glass market with technologically advanced, yet stylish offerings for a wide range of clientele. 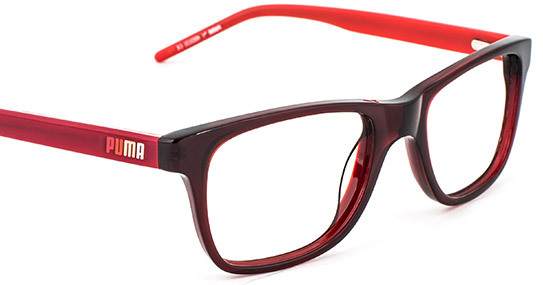 Athletes and Board Room moguls can be seen sporting the latest eclectic PUMA® offerings in eye wear. As always, PUMA® pays close attention to the blending of function and form- using the highest quality and durable materials to produce lightweight, stylish and durable eye wear. One can almost feel the energy and emotion that goes into every PUMA® product! The new PUMA Eyewear collection inspires the wearer to be stronger, better and faster.